Christof Rühl is an internationally renowned economist, specialising in macroeconomics and energy economics. He has a global track record in the world of business, economic policy and academia, and is published and quoted widely in these fields. His most recent commercial expertise is in energy, specifically oil and gas, and asset allocation, focussing on global macro and geopolitical trends. He has more than 20 years of experience working in senior positions in first rate companies worldwide. From 2014-18 Christof was the Global Head of Research at the Abu Dhabi Investment Authority. He built and managed ADIA’s first global research team to provide economic, geopolitical and energy insights to the fund. Earlier, he served as Group Chief Economist and Vice President at BP plc (2005-14), credited with a significant contribution to the global debate on energy, including climate change and the various links between energy and economic development. Christof joined BP from the world of global economic policy, having served at the World Bank (1998–2005) – including appointments as the Bank’s Chief Economist in Russia and in Brazil – and at the European Bank for Reconstruction and Development (1996-98). 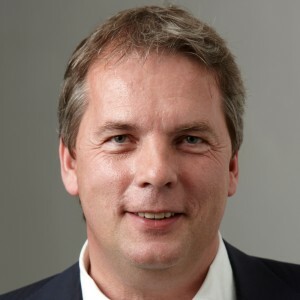 Christof started his career as an academic economist, first as research associate at the Universities of Bremen and Hohenheim in Germany, and from 1991-96 as a professor at the University of California in Los Angeles (UCLA). Christof is as an Independent Director on the board of Halyk Bank in Kazakhstan (since 2007), serves on the advisory boards of companies in energy and private equity, and is a sought-after public speaker.